Tim Grinsell’s practice focuses on complex commercial litigation. His past engagements have covered a wide range of subject matter, including securities, contracts, employment, civil rights, and campaign finance issues. Before entering private practice, Tim served as a law clerk to the Honorable Larry R. Hicks of the United States District Court for the District of Nevada. 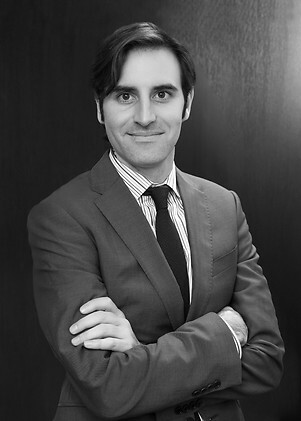 He joined Holwell Shuster & Goldberg from O’Melveny & Myers LLP, where he was a litigation associate. He previously served as an instructor, teaching assistant, and research assistant in the Linguistics Department at the University of Chicago, where he led lectures and seminars, and conducted research relating to natural language semantics. Tim has studied, written, and taught extensively on the subject of linguistics and its applications within the law. Insurer in successful dismissal of insured’s Chapter 11 bankruptcy. Major Asian financial institution in breach of contract dispute against one of China’s richest men. A reinsurer in breach of reinsurance certificate dispute. The board of directors in a securities class action alleging breach of fiduciary duties. Pro bono representation of learning-disabled seventh-grade student against New York City’s Department of Education. Pro bono white paper analyzing proposed changes in New York’s assisted reproduction laws for New York domestic and gender violence resource center.